Setup - $125.00 per colour / laser engrave. 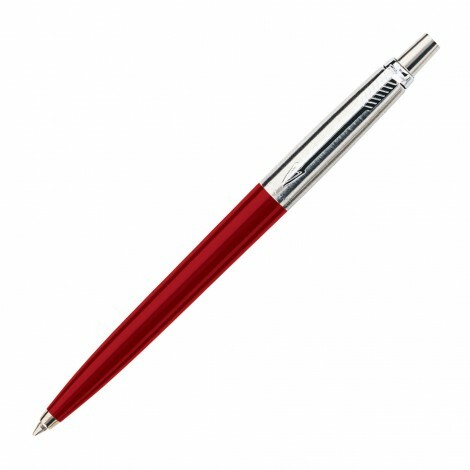 Whether pad printed or silver engraved the Parker Jotter Ballpoint Pen is a classic. Your promotional logo can be placed on cap or upper barrel by either method and the blue ink is provided by a push action, retractable ballpoint. 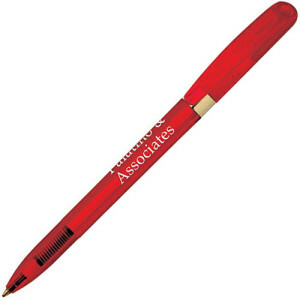 Elegant red with chrome trim.